The patent descibes the production of a paper keyboard which can be made by printing processes. Therefore, the keyboard can be produced in large quantities at low cost. 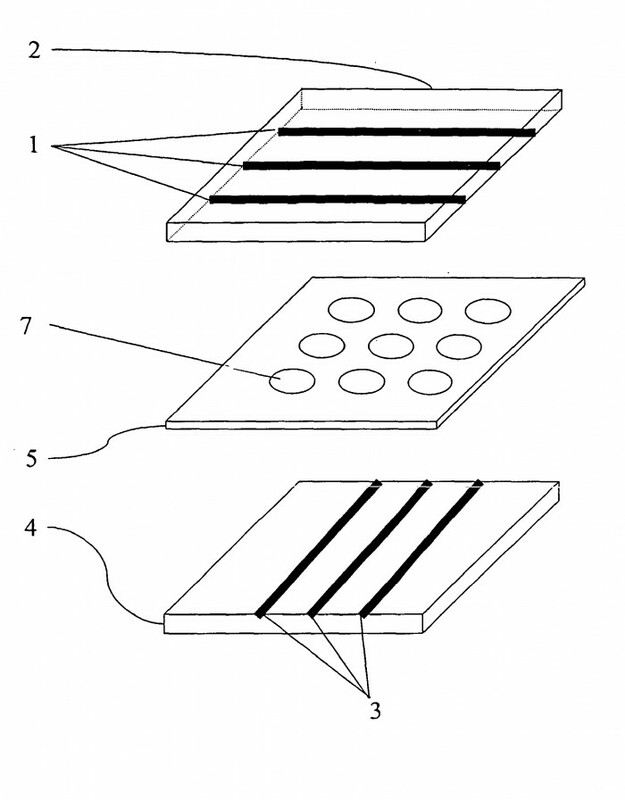 The invention relates to a keyboard and to a method for producing a keyboard for activating electrical switching functions, comprising: a first substrate having a first contact structure; a second substrate having a second contact structure, and; an intermediate layer that holds both contact structures at a distance from one another and enables a contacting of both contact structures when pressure is exerted upon predetermined areas of the keyboard. Both contact structures are imprinted by means of a mass printing process. 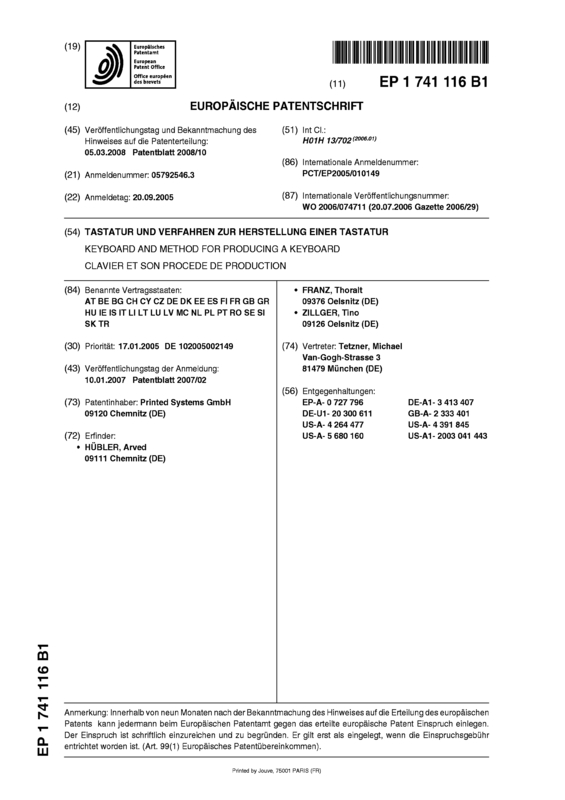 Page created at 2019-04-24 23:59:28, Patent Auction Time.